I have a constant urge to experience new things. It’s what I imagine wanderlust is like for other people, except for me it’s not necessarily places, it can be all kinds of things. For most of this year, it’s been food. One of the closest food stores to me is a Japanese grocery, and over the course of the year I’ve been shifting my diet as a result of what I can find there. The change has been interesting for me. Whereas I used to eat a lot of bread and meat, I’m now eating more rice and fish– mainly because that’s what’s inexpensive and readily available. I already ate with very few condiments, so it’s been pretty easy to transition and be extremely selective about what I season my food with. It’s simplified my meals considerably, and as a side effect I’m eating a lot more healthfully than I have before. In order to get the exciting flavors I like in my food, I’ve had to start trying different things– rice seasonings, various types of chilis, and new types of sauces. One of the best I’ve found is dried garlic in chili oil, which I use on a variety of things but mostly eggs– it makes for amazing scrambled eggs. 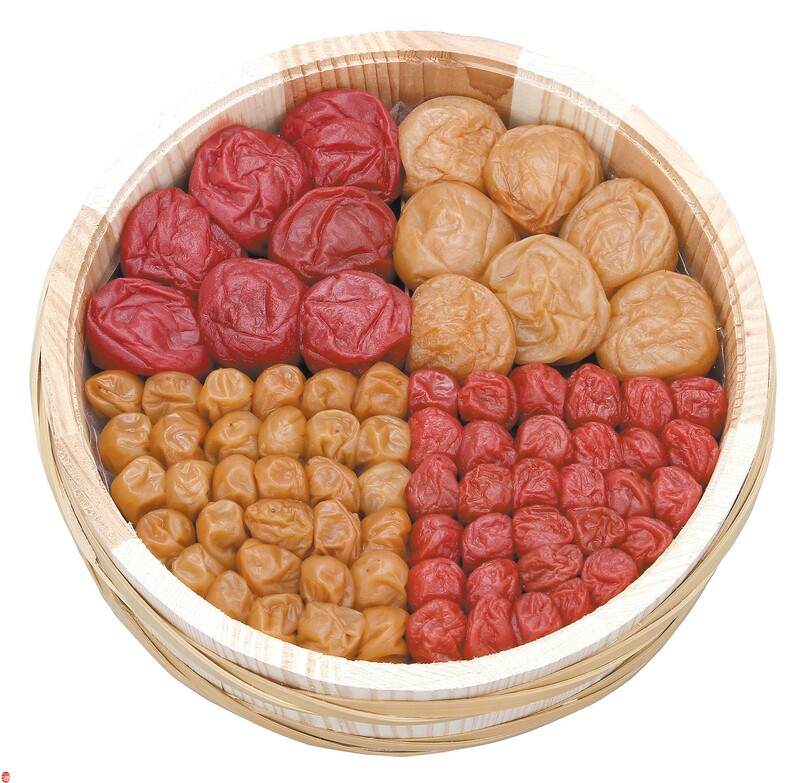 Today I picked up a package of umeboshi– pickled plums. I’d had a bite of one some time ago, and it was intensely sour cut with honey sweetness; one of the only foods I’ve had where honey doesn’t make for a cloyingly sweet flavor. It was a balance between extremes, and I wanted to try to find my own. I’d been told that the kind I was looking for were “sweet umeboshi”, but I have no idea how to differentiate those. After looking over the shelf in the grocery store, I confidently selected a package at random to bring home. I got an approving nod from a fellow shopper, which made me a bit concerned. These were, as it turns out, not the sweet kind. It’s pretty much an intense hit of saltiness and sourness, with a sweet, fruity aftertaste. The flavor was, at first, almost overwhelming, and pretty unlike almost anything else I’ve tried before. It took me a solid ten minutes to work up the nerve to eat more than a bite or two, and finally just finish the whole thing. I did manage to finish it, and a little while later I suddenly understood why they’re so popular. After the intense shock of salty and sour, what’s left is the faint taste of plum– slightly sweet, slightly tangy, very mild. It’s a very pleasant aftertaste, like plum wine without as much sweetness or alcohol. It’s a sensation that manages to be both similar to and unlike eating an actual plum, and I’m ultimately really glad I experienced it. I’ll be prepared for it next time I eat one of these, knowing that the real experience is in the complex aftertaste, not the initial salty/sour shock. I’m so used to food that centers its experience on the consumption step– where the highlight of the experience is when the bite is actually on your tongue. The only place where that really diverges for me are mixed drinks, where the appealing part isn’t necessarily the flavor of the drink, but the aftertaste, or the aroma, or the texture. Umeboshi fits into this interesting space where I appreciate the flavor AFTER I’ve eaten it, but not during. It’s possible that will change, but it’s a flavor I couldn’t have imagined myself enjoying even just a year ago. It reminds me of why I like to experience new things, try new sensations, and understand new concepts. Understanding that this salty, sour pickled plum is widely enjoyed made me want to try it, and approaching it with an open mind gave me the chance to have an entire new world of food open up to me– there are a bunch of things that I’m interested in trying now. I think it’s easy to have an experience that doesn’t fit in neatly with what I’m used to, and simply dismiss it as “weird” without a second thought. It’s an automatic response that I consciously try to fight. Part of this is that I believe that people are fundamentally pretty much the same everywhere. Things are often just arranged differently. There isn’t some magic cultural trait that prevents me from understanding and enjoying the flavors of other places, and there’s a lot out there that can surprise me, still. I think it ties in nicely to games– when I was younger and hadn’t experienced a ton of games, relatively mainstream, relatively popular games could still surprise me and make a big impact. As I’ve gotten older and have expanded my gaming palate, it takes ever more high-quality, original games to get my attention. However, if I start delving into genres I’ve never touched, or thought I didn’t like, I can often find new experiences that are familiar enough to be compelling but different enough to be new and exciting. The best part is, for a lot of those genres have their own outstanding, top-notch games to try. The first taste might not seem interesting or palatable, but there’s a reason so many people like a given thing. I find it fun to try to find out why, find that spark that gets people excited.